Check out the awesome nonprofits we're partnering with to meet community needs this summer! ​Click the button below to see the list of projects we are doing with these agencies. Wichita Parks & Recreation offers recreation opportunities ranging from organized to individual activities at 8 Recreation Centers, swimming pools, softball and baseball fields, golf courses, Ralph Wulz Riverside Tennis Center and Watson Park. 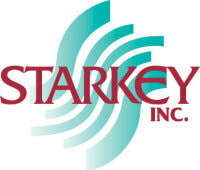 Starkey nurtures development and promotes independence of people with intellectual disabilities. The Museum of World Treasures provides a gateway to the past that educates, entertains and inspires lifelong learning. History comes alive as you delve into the lives of dinosaurs, Ancient Egyptians, past presidents, and more.